I'm trying to explore the Rocket's role in the creation and explosion of the Northwest music scene of the eighties and nineties. 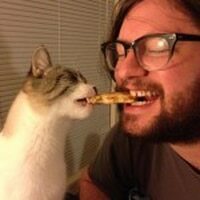 I'm looking for people who found their bandmates through the paper or discovered bands way ahead of the curve by reading the paper (e.g., "I remember finding out about Nirvana because they were on the cover when Bleach was released."). 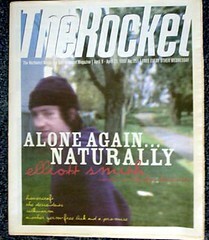 Image: The Rocket (Seattle version) with Elliott Smith on the cover. Stolen/borrowed from an Ebay listing.